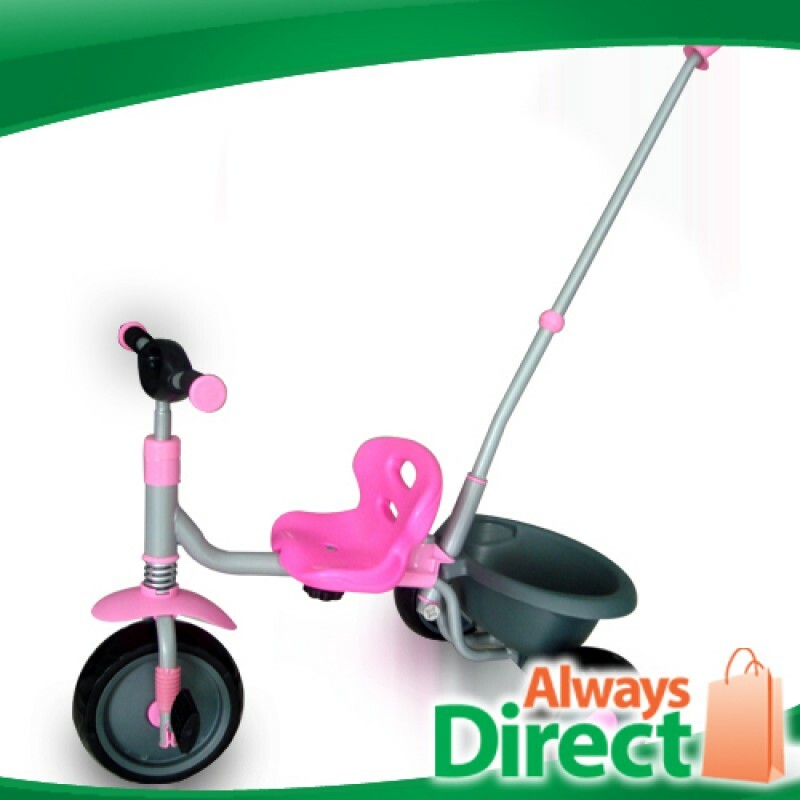 This pink colored tricycle will provide your child with years of fun. Sporting a three-position Quick-Adjust parental handle, the tricycle can provide the kids a quiet, stress-free ride. Let little Mary accompany you down the street with this pink tricycle. Sporting a three-position Quick-Adjust parental handle, the tricycle can provide the kids a quiet, stress-free ride. The frame is constructed with full metal frame to last a lifetime and a fade-resistant polyester powder-coat finish with sturdy moulded plastic components. 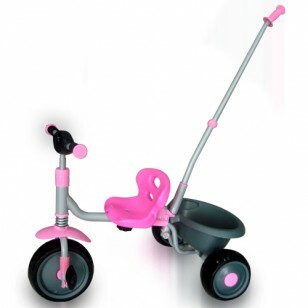 The pink colored tricycle will provide your child with years of fun. With the included removable chrome-pleated push handle, the tricycle evolves from a parent-directed ride on toy to an independently operated tricycle. This pink tricycle has a four-position telescoping handle with one bold release so it can suit parent height needs. It also enhance your child’s safety by offering a low center of gravity, and slip-resistant pedals. 3-position quick adjust parental handle.